Problematic stigma and stereotypes towards persons who are differently-abled/have a disability is challenging to address. Our society is uncomfortable talking about differently-abled people and that makes recognizing stigma towards different physical, mental, and other abilities challenging. This page is a primer to start this conversation, challenge differently-abled stigmas, and provide you with opportunities to take action against this stigma. The United Nations Convention on the Rights of Persons with Disabilities defines differently-abled persons as those who have long term physical, mental, intellectual or sensory impairments which in interaction with various barriers may hinder their full and effective participation in society on an equal basis with others. Stigma towards differently-abled people allows and permits discrimination. It leads institutions to develop policies, procedures, and decision making practices that exclude or marginalize differently-abled persons, it limits the opportunities of differently-abled people, it reduces inclusion in the community, and it stops non-differently-abled people from offering help or being supportive.3 The prejudice and fear caused by stigma may also prevent differently-abled people from coming forward and seeking the help or accommodation they need. 1. A person’s disability defines who they are as an individual. People often label differently-abled individuals according to their condition or limitations. It is common in our daily lives to hear references such as “the disabled,” “the epileptic,” “the deaf kid.” Individuals with disabilities are complete human beings with interests, personalities, and characters that define who they are beyond just their disability. 2. Differently-abled people are sick and in constant pain. Differently-abled people are exactly like non-differently-abled people when it comes to being sick. People get sick on occasion or sometimes may be in pain. Differently-abled people typically do not suffer or experience constant pain or agony due to their condition. 3. Differently-abled people are brave, courageous and inspirational for living with their disability. Differently-abled people are often portrayed as superhuman or courageous as they triumph over adversity. Most differently-abled people do not want to be singled-out and put on this type of pedestal. They would prefer society to treat them as regular people who require some adaptations to participate fully in the community. 4. Being differently-abled is a personal tragedy and deserves our pity. Being differently-abled is often viewed as an unending burden. Differently-abled people are often seen as tragic figures whom society should pity. Different ability does not mean a poor quality of life. Instead, it is the negative attitudes and lack of accessibility throughout society that are the real tragedy for differently-abled people. 5. Differently-abled people are dependent and always need help. All of us may have difficulty doing some things and may require assistance. Differently-abled people may require help on occasion; however, different ability does not mean dependency. It is always a good strategy not to assume a differently-abled person needs assistance. Just ask! 6. Differently-abled people are more comfortable being “with their own kind”. Relationships and friendships are a matter of personal choice. Differently-abled people may share similar interests and struggles; however, it should not be assumed that all differently-abled people should be grouped together and separated from non-differently-abled people. 7. Differently-abled people are confined to their wheelchair. Differently-abled people who use wheelchairs typically do not view themselves as “confined” to their wheelchair, or “wheelchair-bound”. In the same way a non-differently-abled person is not described as ‘confined’ to their car. A wheelchair, like an automobile, is a mobility tool that contributes to a person’s independence. 8. Differently-abled people are all the same. There are societal assumptions that tend to view differently-abled people as a one-dimensional group who all have the same needs, interests and opinions. Differently-abled people reflect the same diversity that exists in the rest of society, including varying social, economic, cultural, family and educational characteristics. The viewpoints expressed by one differently-abled individual are not representative of those of all differently-abled people. 9. Differently-abled people cannot lead a full and productive life. Differently-abled people are capable of fully participating in community life. Instead of focusing on someone’s limitations we should focus on their ability. Differently-abled people can be found in all areas of life: working, playing sports, having families, creating art, engaging in the community, etc. 10. Most differently-abled people cannot have sexual relationships. Anyone can have a sexual relationship by adapting the sexual activity. Differently-abled people can have children naturally or through adoption. Differently-abled people, like non-differently –abled people, can be sexual beings with sexual desires and experiences. Many children have a natural, uninhibited curiosity and may ask questions that some adults consider embarrassing. But scolding curious children who are curious about differently-abled people may make them think having different ability is “wrong” or “bad.” Most differently-abled people won’t mind answering a child’s question if you ask for permission. CMHA is a national charity that helps maintain and improve mental health for all Canadians. With more than 10,000 staff and volunteers in more than 100 community locations across Canada, CMHA provides vital services and support to well over half a million Canadians every year. As the nation-wide leader and champion for mental health, CMHA helps people access the community-based resources they need to build resilience and support recovery from mental illness in their own communities. Visit the CMHA’s website for more information. CNIB passionately provides community-based support, knowledge and a national voice to ensure Canadians who are blind of partially sighted have the confidence, skills, and opportunities to fully participate in life. They provide personalized rehabilitation services designed to enhance independence, safety and mobility after a loss of sight. Their other community based services empower Canadians who are blind or partially sighted to lead rich, full lives and move us toward a more inclusive world. Visit the Canadian National Institute for the Blind’s website for more information. Inclusion BC is a provincial federation whose members include people with developmental disabilities, families and community agencies. Together they have led the movement away from segregating differently-abled people in institutions since 1955. They are dedicated to advancing rights, promoting abilities and building awareness as they work to support full citizenship for all. Visit Community Inclusion BC’s website for more information. Spinal Cord Injury BC is a non-For-Profit organization dedicated to helping people with spinal cord injuries, and related disabilities, adjust, adapt, and thrive. Whether someone is dealing with a new injury or struggling with the ongoing challenges of living and aging with a physical disability, Spinal Cord Injury BC is there to connect people with the support and resources they need. Visit Spinal Cord Injury BC’s website for more information. The KBIA advocates for and provides specialized programs to survivors of acquired brain injuries, and facilitates education and awareness in the community. They provide one-on-one life skills support, family and caregiver support, facilitated support groups, and education and prevention. Visit Kamloops Brain Injury Association’s website for more information.  TRU Disability Services provides academic accommodations and services to all eligible TRU students, both on campus and Open Learning. They facilitate equal access to educational opportunities by reducing physical, attitudinal, and systemic barriers. Visit TRU Disability Services’ website for more information.